Each year when I arrive at my home here in Canada, there is always a stack of mail “too large to forward” to the southwest. Among the junk and other mail, there are generally a few large parcels containing books and magazines. These are usually publications that have made use of one or more of my photos. This spring, there were two very nice books in the mail stack. 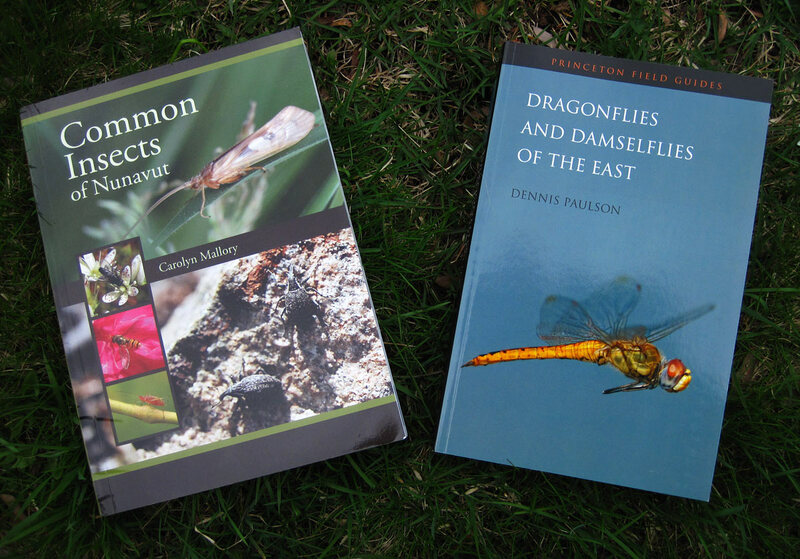 One is Dennis Paulson’s Dragonflies and Damselflies of the East (Princeton University Press, 2011). My photo of a female Eastern Least Clubtail (Stylogomphus albistylus) appears on page 311. 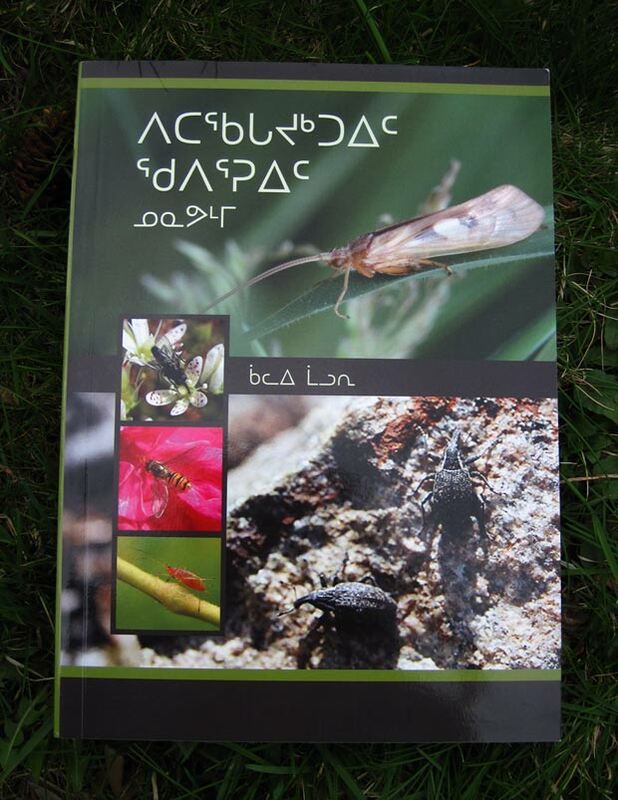 The other is a copy of Carolyn Mallory’s Common Insects of Nunavut, and includes my photo of a Thanatus formicinus crab spider on page 143. The neat thing about this book is that the text is published in both Inuktitut and English. One cover and half of the book is in Inuktitut, and the other in English. Below, I’ve included a photo of the Inuktitut cover. If you would like to read more about the creation of this publication, check out this web page. In any case, these two new books make nice additions to my natural history library of field guides. To reduce confusion for those of you who haven’t been following my blog for awhile, the most recent posts have been lagging “real time” by at least a couple of months. Consider this to be the first of my Arizona writings for this winter. I’ll be dropping the odd piece in between the travel writings over the next few weeks. It actually seems a little awkward for me to write about past rather than present events. If you’re familiar with my older nature blog, Burning Silo, I wrote almost daily, and most of the posts were about sightings that had occurred within the twenty-four hour span of time between those entries. That schedule gradually disintegrated while I cared for Don during his illness. After his death, I decided to abandon posting to that blog and start something new, which is how Journey to the Center came into being. Its structure was intentionally different. It would be about my travels and nature observations, with posts occurring whenever I had the time or inclination to write, or an available net connection to upload photos to my website. That’s the front story, but there’s more to all of this than meets the eye. The back story is that several odd things happened during the months when I cared for Don. With each passing day, the time I had available to shoot photos, rapidly diminished. I could no longer spend an hour or two a day roaming the garden and fields at the farm as it became increasingly unsafe for Don to be alone in the house even for a few moments. I never resented the constant demand on my time. I did not want to be anywhere else than at his side during those final difficult weeks. However, as I’ve mentioned, odd things began to happen. I no longer cared much about my photography. Requests for photos for publications would come in by email and it was all I could do to force myself to reply or dig up an image file to send to someone. I know that a few of those requests went unanswered if they seemed too complicated and nit-picky. There were just so many hours in the day, and I had to choose where to allocate my time. The decision wasn’t too difficult. The other thing that occurred during this time is what I can only describe as the beginning of a very disturbing form of amnesia. In the years leading up to Don’s illness, I knew the scientific and common names of most of the creatures that I photographed. Some names were as familiar as my own – Argiope aurantia, Anatis mali, Erythemis simplicicollis…. well, there were dozens and dozens of them. In the weeks after we began our fight with cancer, those names would gradually be replaced by the names of chemo agents, bones requiring radiation treatments, drugs available under clinical trials, and so on. Gradually, over time, it was as though some strange cloud of selective amnesia descended upon me. I would look at photos of creatures in my nature galleries without being able to recollect the scientific, let alone common names of any of them. It was a very strange and disorienting sensation — one that I have now lived with for close to two years. Even as recently as a month or two ago, I would try to talk about an insect which I could picture well in my mind, but the words would not come. I would struggle to think of the names, but the best that could be managed was a puzzling blank-out that actually triggered an unpleasant twitching sensation in some part of my brain. It was as though some part of my “hard drive” had been disconnected, its USB cable unplugged and dangling in the wind. Fast forward to a couple of days ago. Standing in a hallway, speaking to a fellow naturalist, the name Argiope aurantia surfaced after a few moments of awkward silence. It was one of those weird Eureka!!! moments. If one name can be remembered, perhaps there is hope for more. In fact, I’ve been attempting to remember more names, and they seem to be *sticking* now — something that did not seem possible until even two weeks ago. The other thing that has happened is that, little by little, my interest in the natural world is returning. In truth, it was never really *lost*, but unless a spider or bird or javelina practically fell out of the sky, it was difficult for me to care enough to take its photograph. Oh, I made concerted attempts, but they felt half-hearted at best. I was rarely pleased with the photographs, and to some extent, that spark that existed between me and whatever I was photographing, still feels a little weak. But perhaps it will return along with the missing names. I do try to make a good effort, even though it still feels like I’m going through the motions. I hope that will change in time. 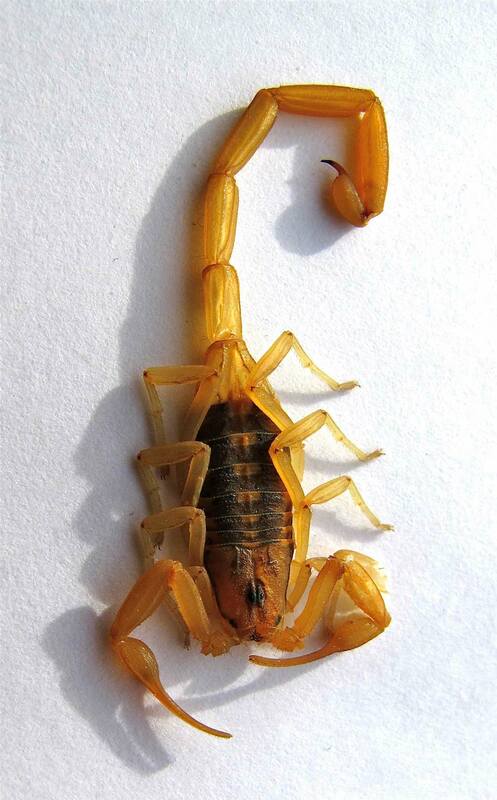 A couple of months ago, I was stung by an Arizona Bark Scorpion (Centruroides sculpturatus) during the middle of the night (see two above photos – click on all photos for larger views). The resulting pain was unpleasant, but not intolerable. 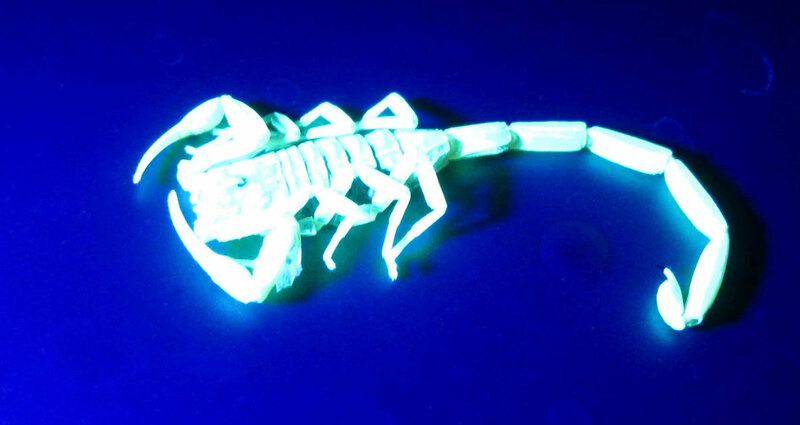 The event was enough to tweak my interest in scorpions to the point that I purchased an inexpensive UV-LED flashlight so that I can blacklight for them as soon as things warm up a bit. Scorpions glow under the light of a UV lamp, so this seems like an opportunity for some cheap entertainment while I’m here in the southwest. 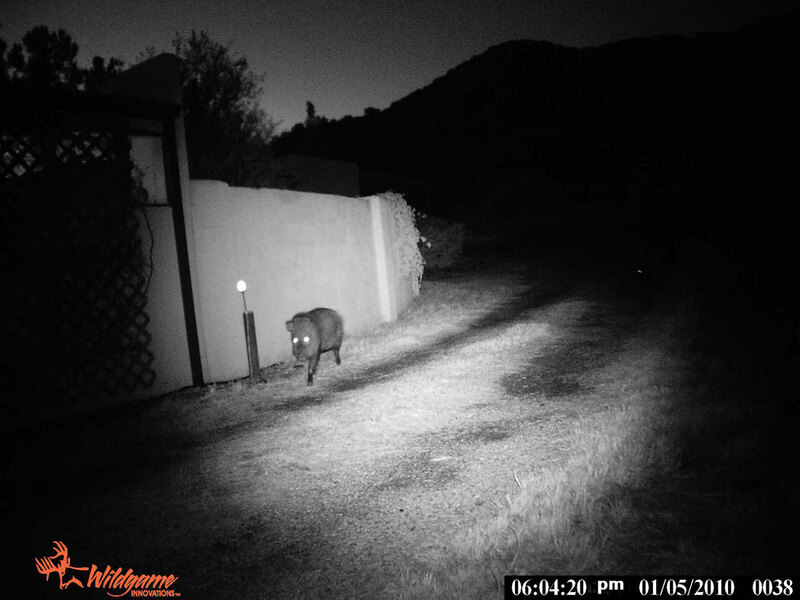 I also bought a very inexpensive motion-activated infrared game camera, and have been setting that up in various locations around the lane and garden. So far, my main captures are Javelinas (see below) and the odd lost tourist turning around in my yard. However, as with so many other aspects of my life, I’m doing what I can in the hope that one thing will lead to another and the spark of interest will grow to be something more.